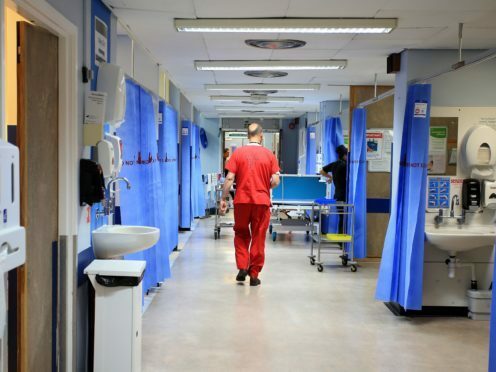 A patient safety alert has been issued by NHS Improvement after officials noticed cardiac arrests among 35 patients, including a baby and a child, with hyperkalaemia – a higher than normal level of potassium in the blood. Officials said local guidance on treating the condition was inconsistent as they called for the condition to be treated as an emergency. It comes after data from the National Reporting and Learning System (NRLS) identified 35 cases where the outcome was “severe harm or death” that occurred between November 1 2014 and October 31 2017. The patients – 33 adults, one child and one baby – suffered cardiac arrest while hyperkalaemic and under NHS care. “These suggest that some healthcare professionals may not appreciate that clinical assessment, treatment and ongoing monitoring of hyperkalaemia is time-critical,” the patient safety alert from NHS Improvement states. “Typical extracts from incident reports read: ‘The patient had a raised potassium which required treatment and (a member of staff) apparently stated that the day team could deal with it’. But officials stressed that, of the 35 cases of cardiac arrest, it was not possible to confirm that it definitely occurred as a result of high levels of potassium – patients may have been in hospital for another reason which led to the arrest. Potassium is essential in the body, including to help maintain normal heart rhythm. But when it becomes too high it can cause arrhythmias and cardiac arrest – where the heart suddenly stops pumping blood round the body. Officials reviewed local plans for how to manage the condition but found examples that were not evidence-based or easy to understand during an emergency. NHS Improvement has ordered a review of local guidance to ensure it is in line with best practice. “High blood potassium levels are extremely dangerous and can lead to cardiac arrest,” said NHS Improvement’s executive medical director and chief operating officer, Dr Kathy McLean. “It is vital that patients with high potassium levels in their blood are treated as an emergency and given treatment quickly and monitored. Hyperkalaemia can affect patients in hospital and being cared for at home. The alert has been sent to all 232 NHS trusts and GP practices across England.